Chere‘s music is a mix of several different genre labels. An industry reviewer once said she is “too unique and uncatagorizable” but that has not stopped Pepper from continuing down her own road of originality and prolific writing. She writes all styles of music and her vocal stylings reflect the change but her soulful Country roots can be heard through the pop/ rock music stylings of her recordings. She performs acoustically, most often described as an Acoustic artist with a Contemporary feel, appealing to all ages. 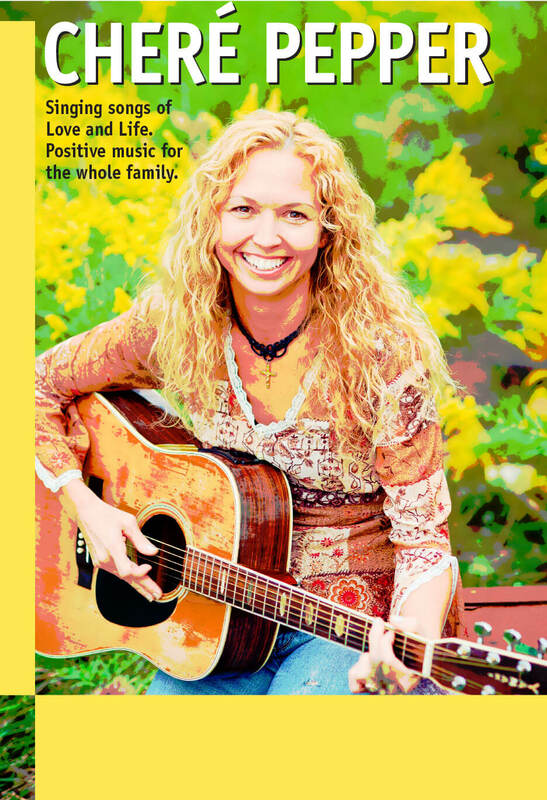 She delights audiences with songs that encourage and teach basic principles for Christian Living.